Banners generate energy, excite participation, signify shared identity, and activate brands. They transform an environment and enliven an otherwise dull space. They dynamically communicate your idea, attracting onlookers and ensuring message permanence. 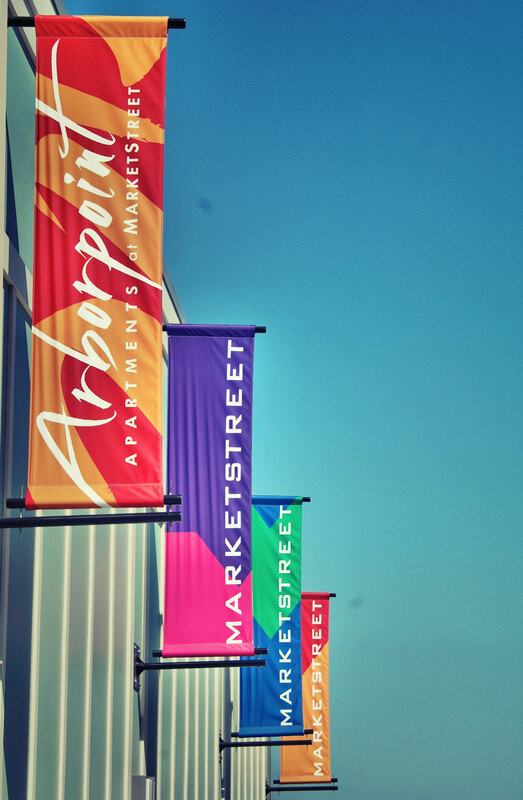 Our banners offer unmatched value. 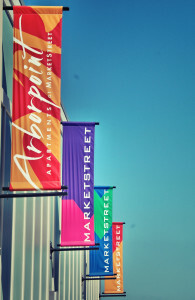 Fully fabricating banners and hardware in-house enables us to ensure quality and reduce costs. Installing and servicing everything that we make produces insights that improve our designs and fabrication methods. To your specifications, we will applique your banner, or print it using dye sublimation or grand format printing on nylon, polyester, acrylic, cotton, vinyl, or fabrics made from recycled fibers. Tell us what you want to do. At any scale, we can help bring your ideas to life. Let’s talk.